When it’s raining or even on a cloudy day you’ll miss out seeing the sunny yellow blossoms of Coltsfoot. It blooms in Eastern North America in early Spring each April. Coltsfoot is one of my favorite Spring Ephemeral flowers because it’s such a bright happy color when it’s in bloom and everything else is still old winter drab. It’s also fun to show people that it’s not a dandelion! Driving past the coltsfoot that bloom next to a country road most people probably do think it to be dandelions in flower. Neither would be noticed on the cloudy days because their flowers will be closed up tight. 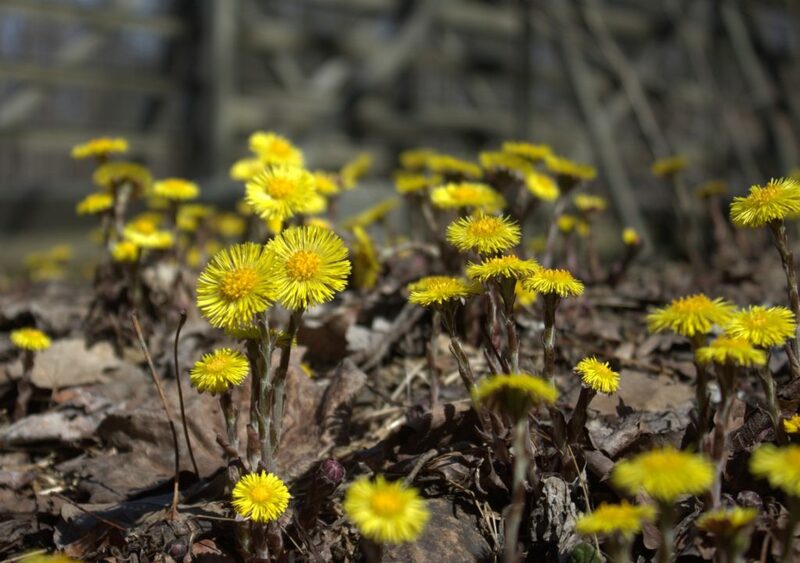 During the first week of April coltsfoot was blooming in all its glory along the creek near the spillway on the Mill Race Trail at Little Buffalo State Park in Newport, PA. I had never seen such a display as I was treated to that day. Took the puppy on her first trip to a local park. It was precious seeing her sniffing and tasting her first dandelions and violets! Alas, no extra hand to carry a camera for snapping some flower photos. She’s too little yet and needs my full attention. The pictures would have been a complete blur. I tried to remember the dozen flowering plants we saw. Here they are in the approximate order we found them as we walked from the parking lot and followed the Juniata River flowing south. 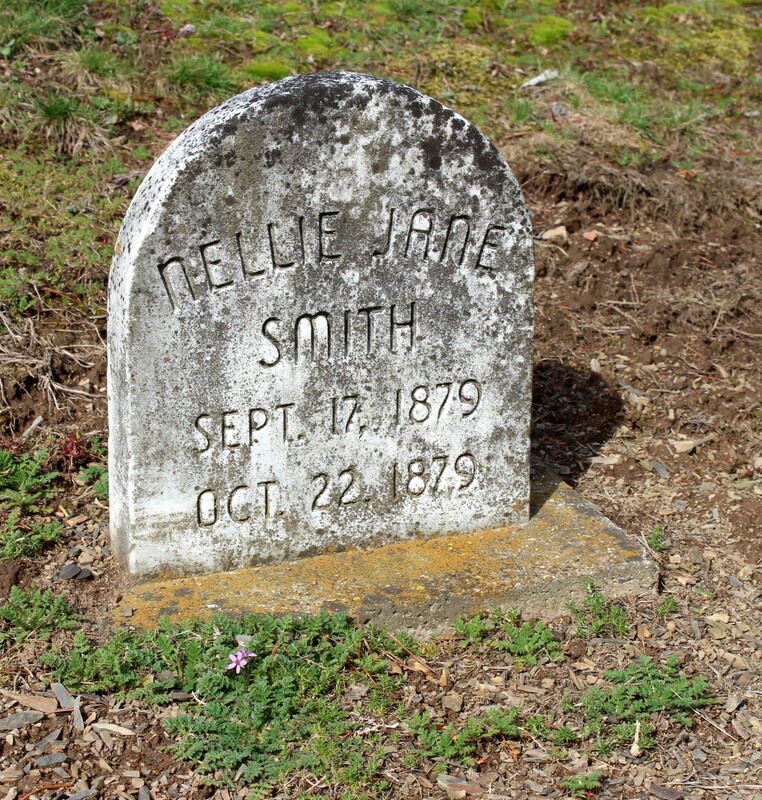 The folks who manage the natural areas here could use a lesson or two in the value of preserving native plants. Much too much garlic mustard and lesser celandine was present in the places adjacent to the river where bluebells should be swaying in the breeze. Over the past few years too many trees have been cut down disrupting the habitats of the native plants, not to mention the little critters who may have called this small stretch of nature home. Disappointing. After our walk we took a little drive down River Road to see the Spring blooming trees. Beautiful flowering almond and cherry trees scattered among a large number of forsythia shrubs brought color to many spaces and accented the daffodils and narcissus that were blooming profusely. Another of my favorite bloomers at this time was in all its glory, the redbud tree. It’s so beautiful to see its purple at the edge of the woodlands. Trees are still bare of leaves at this point. 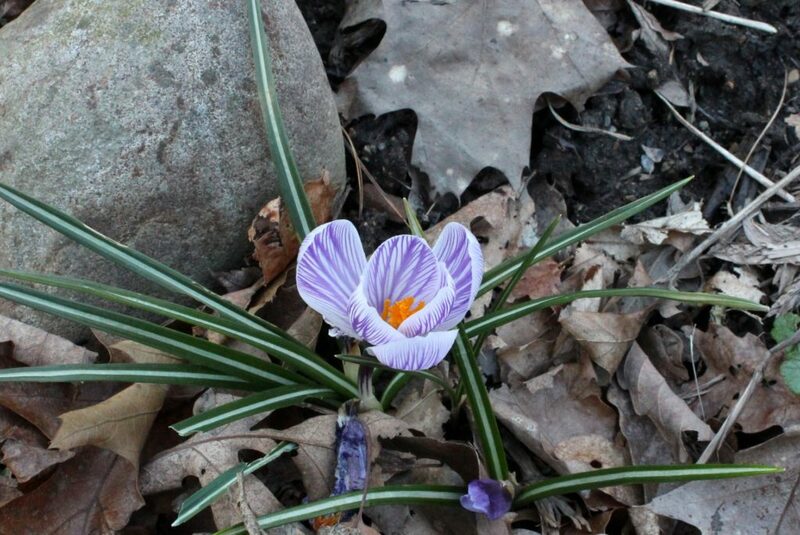 This weekend would be a great time to investigate what’s blooming around your neighborhood. The colors of Spring are everywhere! 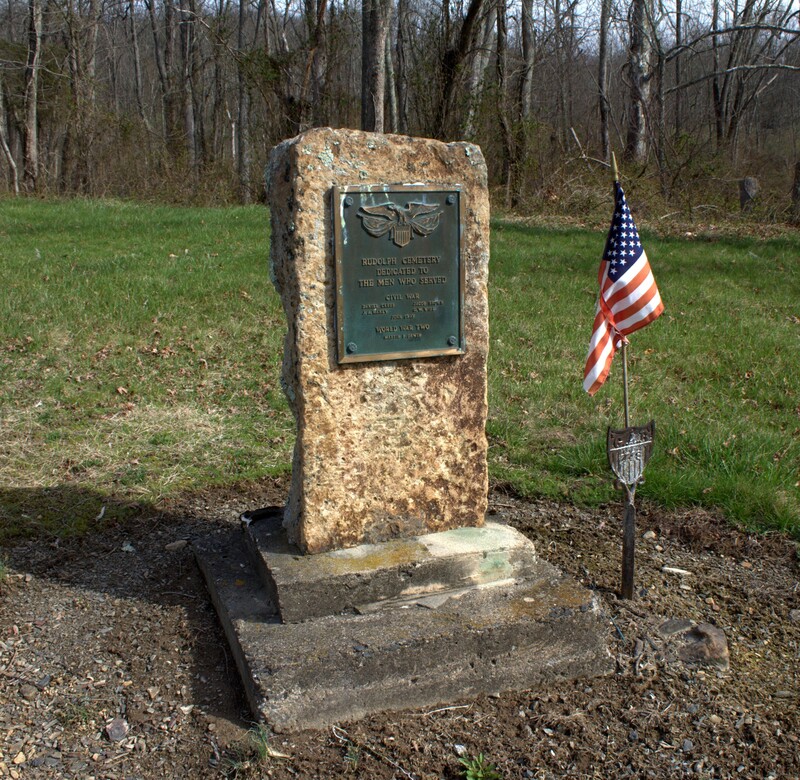 Millerstown Park is less than a mile south of the town square and the Route 322 exit for Millerstown, Pennsylvania. 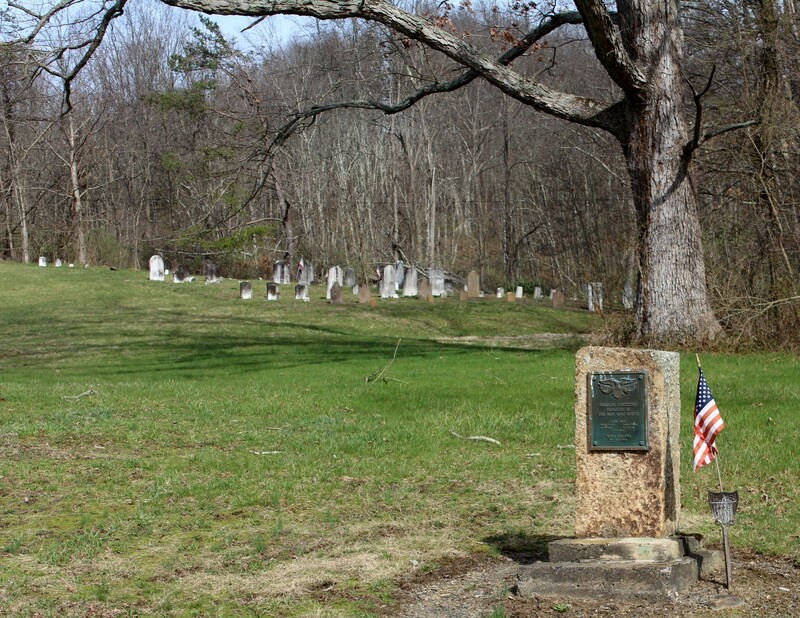 Spring has come to South-central PA at last. Flowers will be picking up speed in opening their blooms this week with the forecasted warm weather. 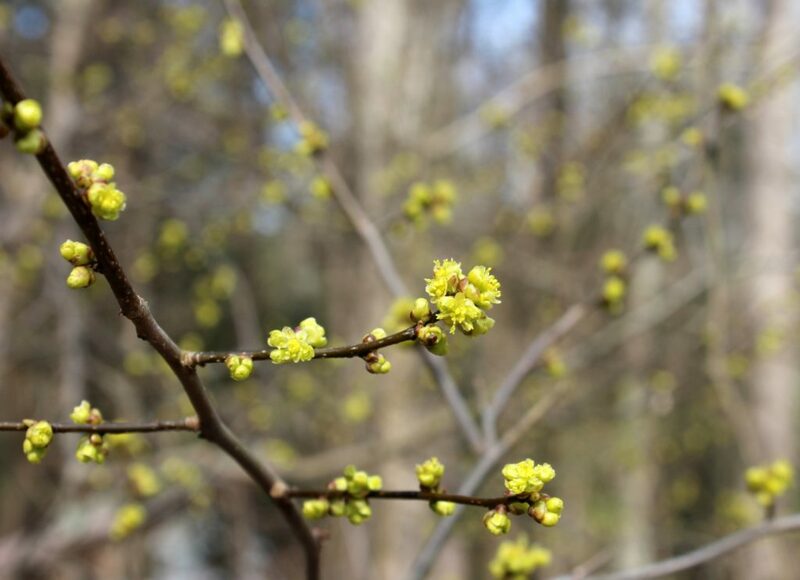 In early April the spicebush is one of our first native plants to bloom. Spicebushes full of bright lemony-yellow blooms getting ready to burst open. The first few flowers had already blossomed in the sunshine. coltsfoot – a spectacular display! redstem storksbill – a new posie for me! 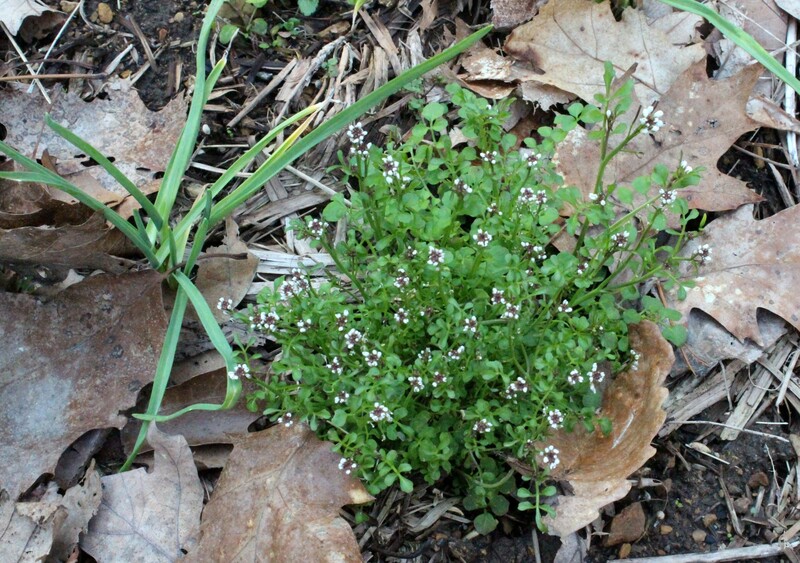 Low-growing chickweed and spring beauty both have white flowers with five petals, but they look quite different from one another. Chickweed is smaller with its elongated and deeply cleft petals, which make it appear to have 10 petals. Spring beauty flower petals are much larger and their pink anthers at the stamen tips really stick out. Saw a fly buzz around the other day, so I went looking for a patch of stinkin’ Skunk Cabbage. Actually, it was February 28th, after some record-breaking warm weather for a couple of days here in Central Pennsylvania, on Feb 23 and 24. (Photos taken Feb 28, 2017). It was probably the earliest in a year that I’ve seen their mottled spathes sticking out among the weeds. 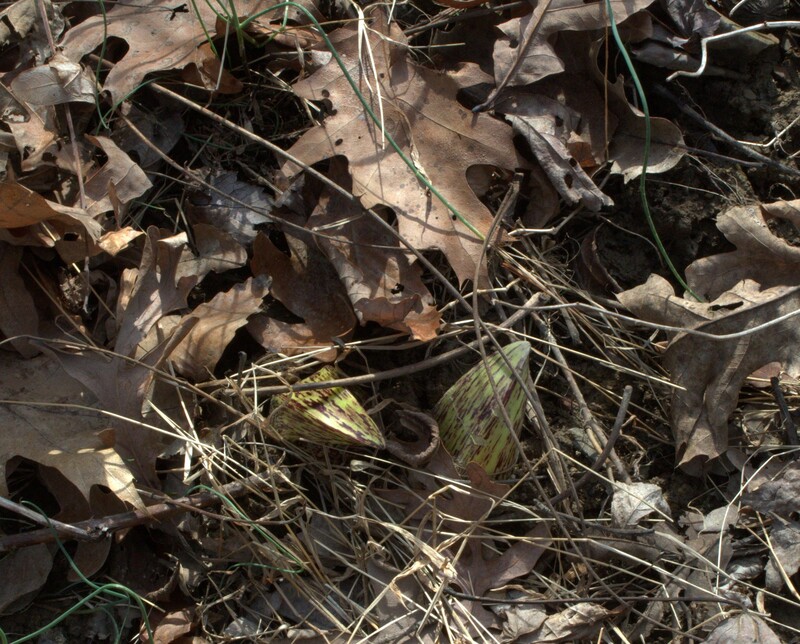 Skunk cabbage spathes emerge from the ground among last year’s weed stems, berry canes and brown oak leaves. 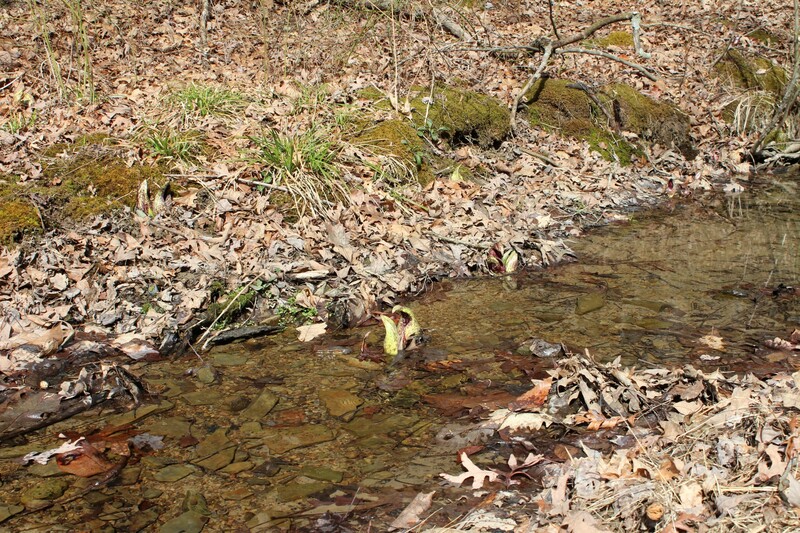 Skunk cabbage hiding among the leaves and weeds near a stream. 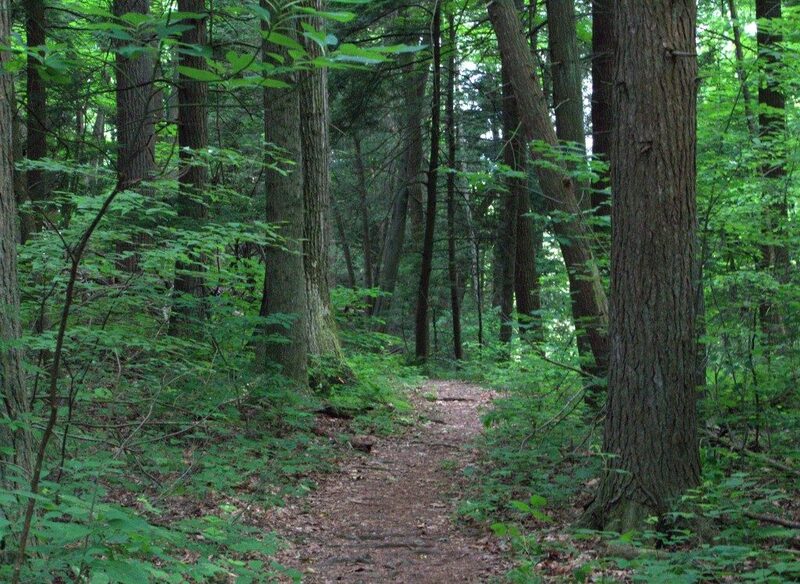 They’re easy to miss in the woods as they hide under the brown oak leaves. You may have to get right up on them to discover them, so watch where you place your feet! Move aside a few leaves and you’ll see the spathes have fully developed flowers on the spherical spadix inside. 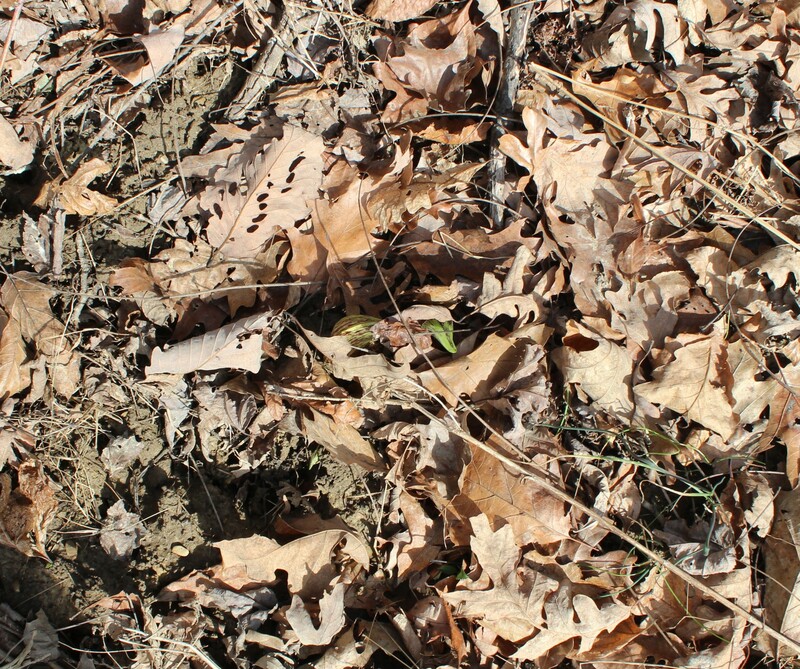 In this pair of skunk cabbages the leaves are just pointing up out of the ground. Skunk cabbages likes to grow near water so much you can find it them in the middle of a creek. It’s a mountain stream where I spotted several of those yellow-green and maroon protective flower hoods growing right in the flow of water. Plenty others were in the flat areas adjacent to the stream. Half a dozen or more skunk cabbage plants are in this stream or next to it. Here, the mountain stream winds into a culvert that passes under the country road. 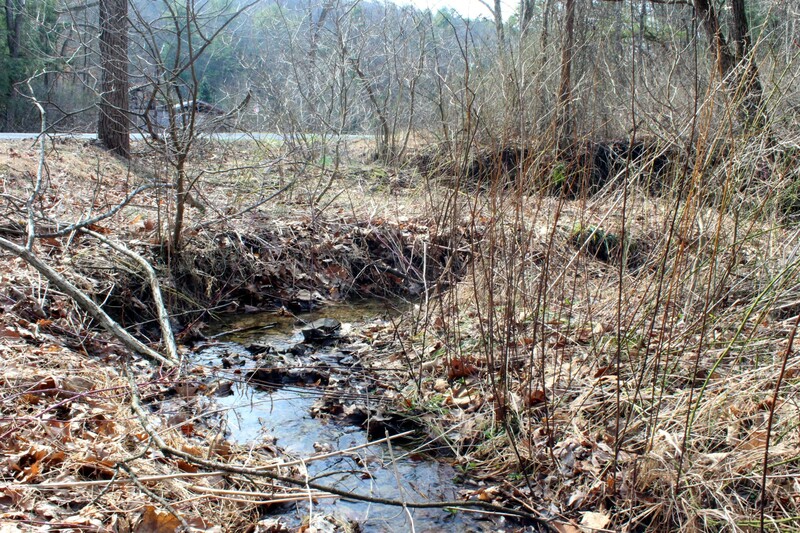 A mountain stream winds into a culvert that passes under the country road. The mottled spathes protect the flowers from rain and snow and extremely low temperatures while keeping them hidden from casual passersby. Flowers grow in colonial fashion upon a sphere inside the spathe, which is called a spadix. The spadix and flowers are pastel, creamy white to yellow. 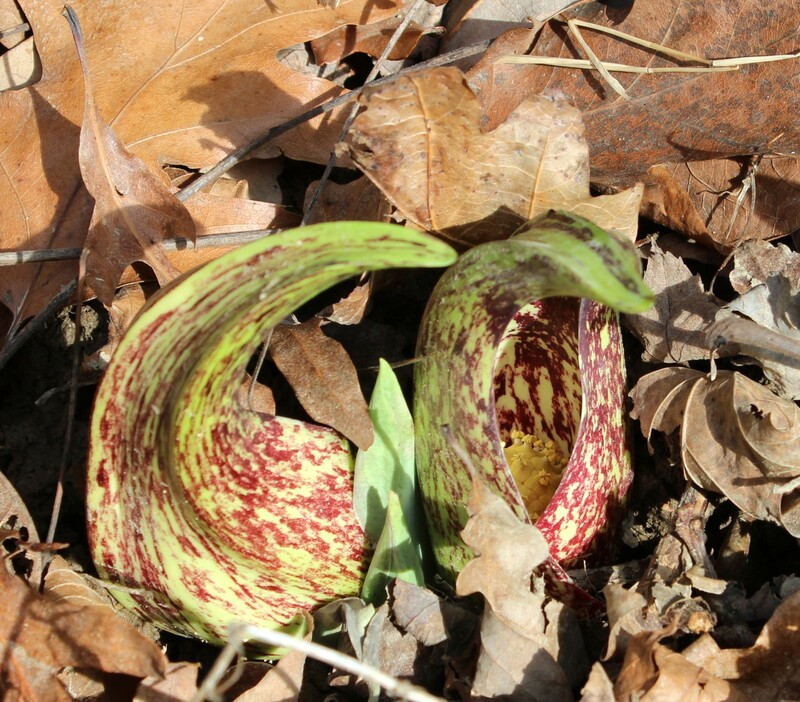 Close up view of several flowers inside the protective hood of a skunk cabbage plant. Flies are known to pollinate Skunk Cabbage, and I did see a single fly on this day. 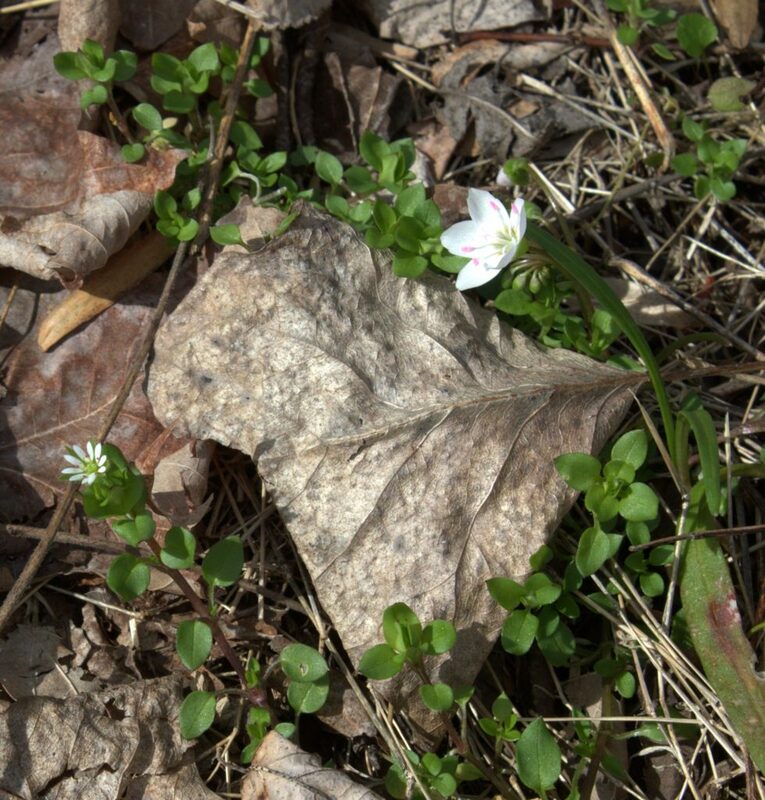 Refer to Peterson’s field guide, Wildflowers: Northeastern and North-central North America, for more details on this interesting earliest of Spring flowers. Or should I say, Winter Flowers?! 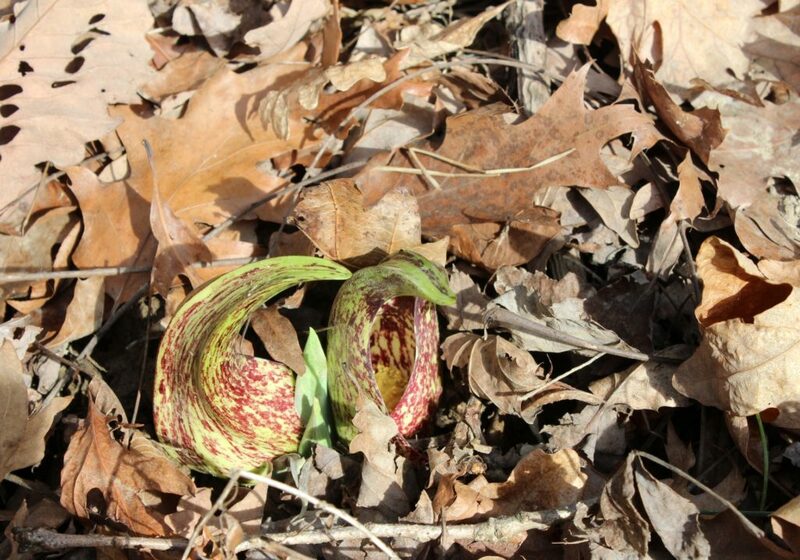 If you’re out and about scouting out your own patch of Skunk Cabbage, take caution. It’s known that black bears like to eat the stuff. They won’t appear for a little while since it’s so cold, but once the leaves appear keep your eyes and ears tuned. If you’re lucky enough to see a bear, make some noise to let them know you’re there. Whatever you do, don’t run! Check out my other posts about Skunk Cabbage for some great pics!